Galina Gorbatenko graduated from the Tchaikovsky National Music Academy of Ukraine (former Kyiv Conservatory) and obtained a degree in choral conducting. As choirmaster she has worked for many years in Kiev Municipal Academic opera and ballet theatre. Also she has worked with many youth and student choirs. In 1985 she founded the Female Choir of R.Glier Kiev Institute of Music. For years Galina Gorbatenko has been directing her own class of choral conducting at the R.Glier Kiev Institute of Music, preparing many talented students who go on to do successfull work in the genre of choral music. She also works as an associate professor at the P.Tchaikovsky National Academy of Music. 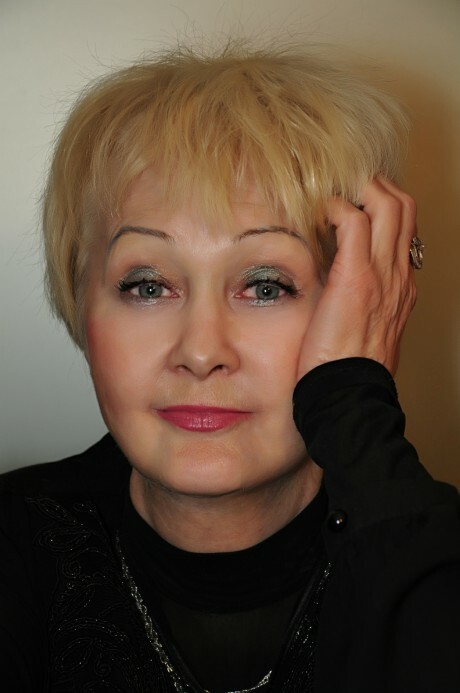 Galina Gorbatenko regularly gives master classes on working with a choir and conducting techniques both in Ukraine and abroad. This year the Female choir celebrates its 30th anniversary and performs numerous concerts at the best halls and temples in Ukraine and Europe; its infinite creator and permanent leader is Galina Gorbatenko.